I finished up my three book reviews in brief for the May issue of America’s Civil War earlier this week. I’ll also write a full review of a Civil War DVD for the same issue this weekend. And yesterday I received a book for review on this blog. 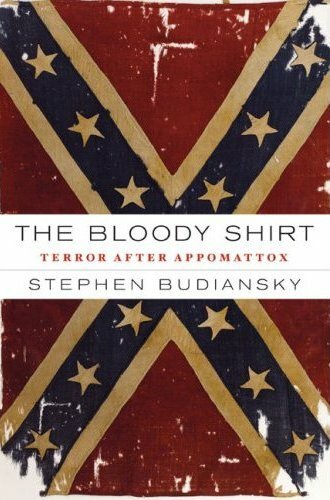 The Bloody Shirt: Terror after Appomattox, by Stephen Budiansky, was sent to me by Lindsay Prevette, a publicist at Viking/Penguin, who contacted me through the comments section of one of my posts. I’m very upfront with folks who ask if I’ll review their book for the blog (keeping in mind this is only the third time this has happened). I can’t guarantee how soon I’ll get to it, nor can I guarantee my review will be a positive one. I think so far all the book reviews I’ve written here (solicited or otherwise) have been balanced. 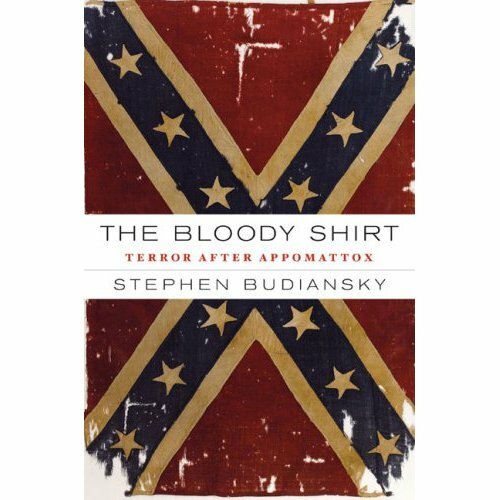 The Bloody Shirt is another entry in the flavor of the month among academic Civil War historians – reconstruction – though its author is a journalist. I’ll write a little review in brief next week, and will hopefully be able to blow through the book pretty quickly once I’ve finished the incredibly, unbelievably long biography of Sullivan Ballou I’m reading now. Then I’ll write a full review. I was pleasantly surprised when I opened Budiansky’s book to the illustrations (the first thing I do when I pick up a new book, even before the bibliography) and saw a nice portrait of Adelbert Ames, member of the USMA class of 1861 and winner of the Medal of Honor for his actions at First Bull Run. Ames was a reconstruction mucky-muck and Republican governor of Mississippi, in addition to being the great-grandfather of George Plimpton. There is also a portrait of James Longstreet, brigade commander at Bull Run who played a prominent and, to some, unpopular role in putting down post-war violence in New Orleans. To top it all off yesterday I was presented with a great opportunity to combine book reviews with battlefield stomping. I’m pretty stoked about this one. Now all I need is for the big guy to add about 12 hours to each day.